Clear Case Desiccant Canister: Clear Desiccant Canisters are a small, (2-1/4" x 2-1/4" x 3/4") louvered transparent plastic canister packed with 48 grams (1.6 oz.) of a blue indicating silica gel bead. CSS-Sorb Bags Conditioned: CSS-SORB is an extra high efficiency silica gel that has exceptional characteristics of adsorption and desorption qualities in the 30 ®” 50% RH range. CSS-Sorb Bags Dry: CSS-SORB is an extra high efficiency silica gel that has exceptional characteristics of adsorption and desorption qualities in the 30 ®” 50% RH range. CSS-Sorb Bead Form Conditioned: CSS-SORB is an extra high efficiency silica gel that has exceptional characteristics of adsorption and desorption qualities in the 30 – 50% RH range. CSS-Sorb Bead Form Dry: CSS-SORB is an extra high efficiency silica gel that has exceptional characteristics of adsorption and desorption qualities in the 30 – 50% RH range. Dri-Can Desiccant Canister: Dri-Can is a small, perforated metal canister that measures (2" x 4" x 1/2") packed with approx. 42 grams (1.5 oz.) of blue indicating silica gel. The desiccant material within the canister attracts water vapor, condenses it, and holds it. 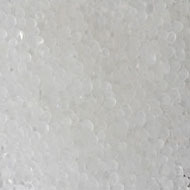 Silica Gel - Bead Form, Conditioned: Our high capacity beaded silica gel is comprised of smooth beads 1/8" (2.5 - 5.0mm) in diameter with a mean pore diameter of 20-25 angstroms and a specific surface area of 700-750 m2/g. 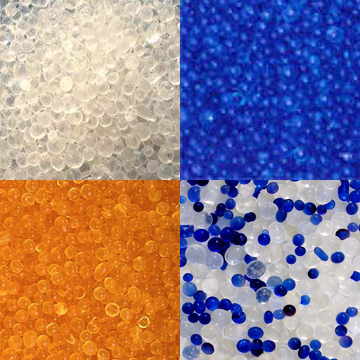 Silica Gel - Bead Form, Dry: Our high capacity beaded silica gel is comprised of smooth beads 1/8" (2.5 - 5.0mm) in diameter with a mean pore diameter of 20-25 angstroms and a specific surface area of 700-750 m2/g.